This gifted musical group has performed across the United States and internationally with its exciting and unique blend of styles. 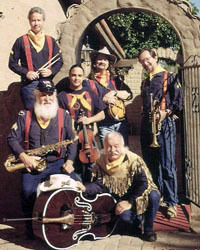 The show features music from the Great Southwest all the way to New Orleans. Your guests will be invigorated by the sounds of this memorable band.